A pair of white Freshwater pearl stud earrings, from the Classics collection, finished with 18 carat white gold earring posts and available in a choice of three pearl sizes. A classic piece of pearl jewellery, that is loved for the way that the beauty of the pearl subtly reflects the light and flatters the wearer. 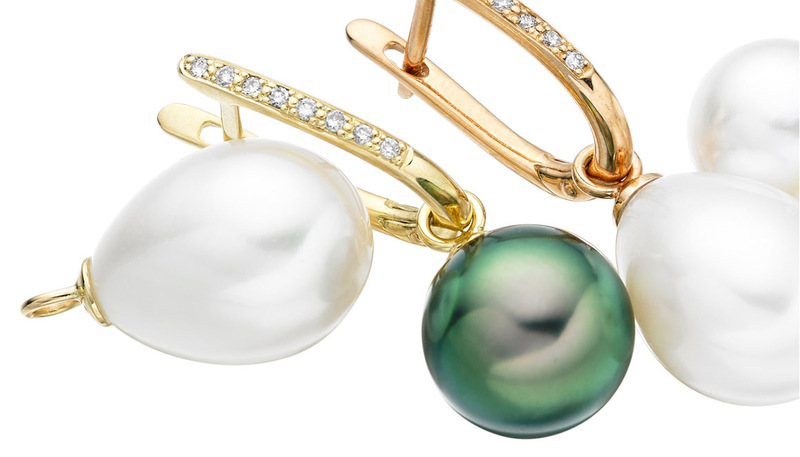 The earrings are made with cultured Freshwater pearls, which originate from China. 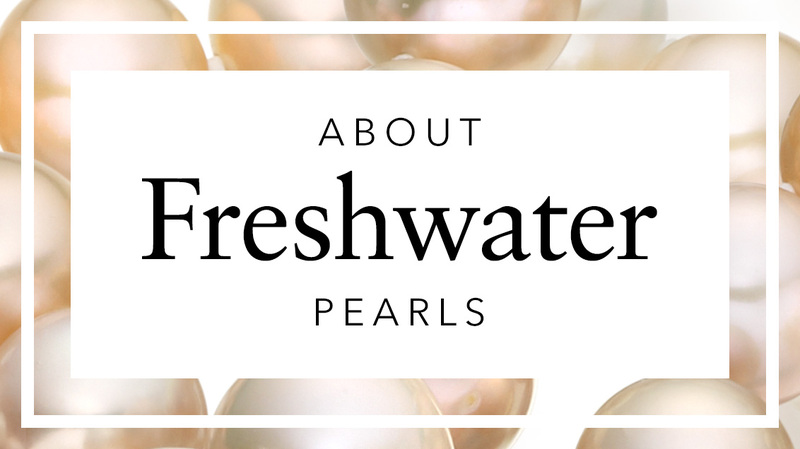 We have carefully selected these pearls, looking at the strong shine of their lustre, their colour and clean surface. 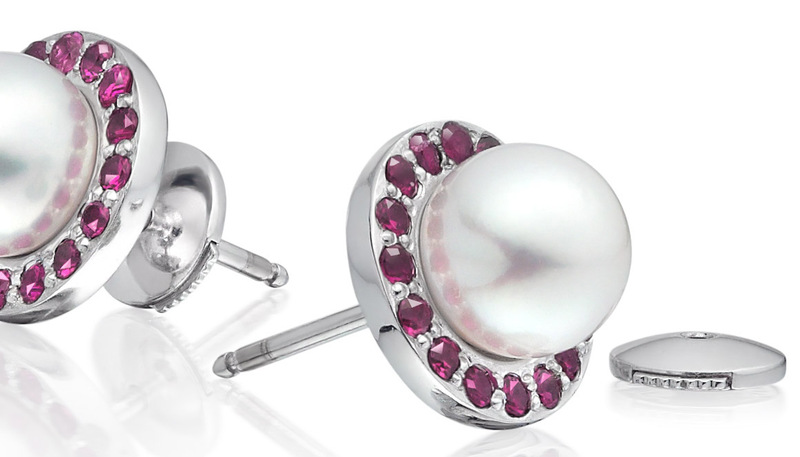 We offer three sizes of pearl. The 7-7.5mm and 8-8.5mm diameter pearls are a very comfortable size to wear, whilst a larger 9-9.5mm diameter pearl has more of a statement and contemporary style. Each pair of earrings is finished with an 18 carat white gold earring post and can be easily matched with a Freshwater pearl necklace or bracelet. Service rating : Ordering was simple and efficient. Ordered before 12pm and was amazed how quickly it arrived am the following day. Reply Thank you very much, it is a pleasure to hear that everything was perfect with your gift and we very much appreciate you choosing a pair of Winterson earrings. If we can be of any further assistance in the future, please do not hesitate to let us know and we would be happy to be of service. 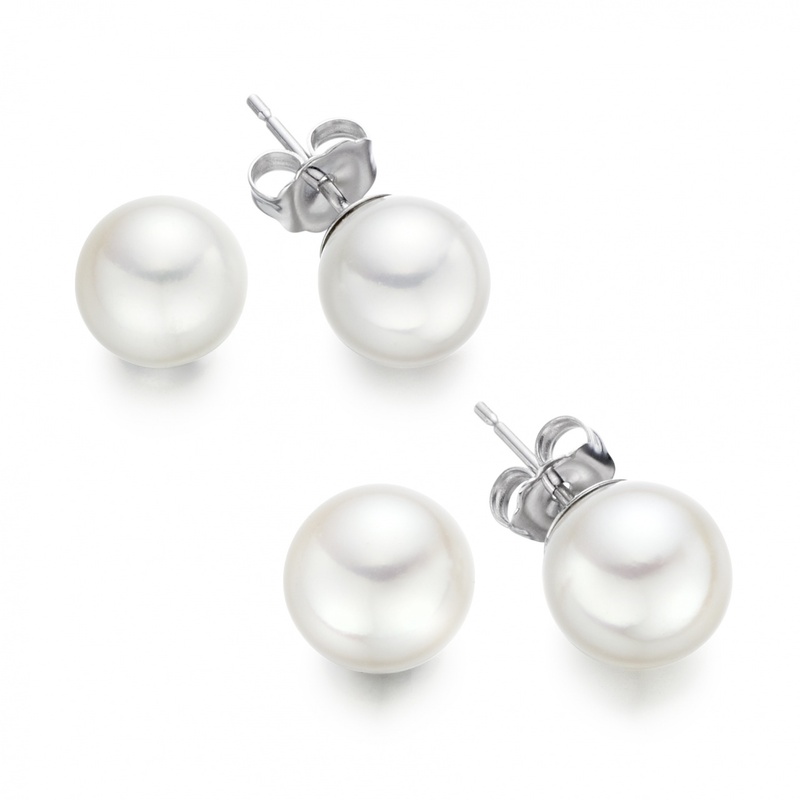 The Classic White Fresh Water Pearl Stud Earrings in White Gold are beautiful, exquisite and impeccable. The 7-7.5mm size is the perfect size i.e. it is not too big neither is it too small. The packaging is amazing. The case the earrings come in is very nice, sturdy and presentable. It also includes a pouch, which can be used when travelling. The earrings came quickly as well. I hope to buy from Winterson again. Thank you. Reply Thank you for your very kind review of your recent purchase of a pair of Classic White Freshwater Pearl Stud Earrings. We really appreciate this and hope that everything is now perfect with the earrings for you. If we can help in any other way in the future, please do not hesitate to let us know. Service rating : I ordered some pearl earnings as a Conformation present. I was very impressed with the website and in particular the ordering process. I was kept informed via email after my purchase. The earnings arrived the followed day. The packaging is beautiful and I am delighted with the quality of the earnings. I definitely recommend Winterson. Five Star. Product : Stunning earrings and I love the packaging. Reply Thank you so much for letting us know, that's fantastic news. 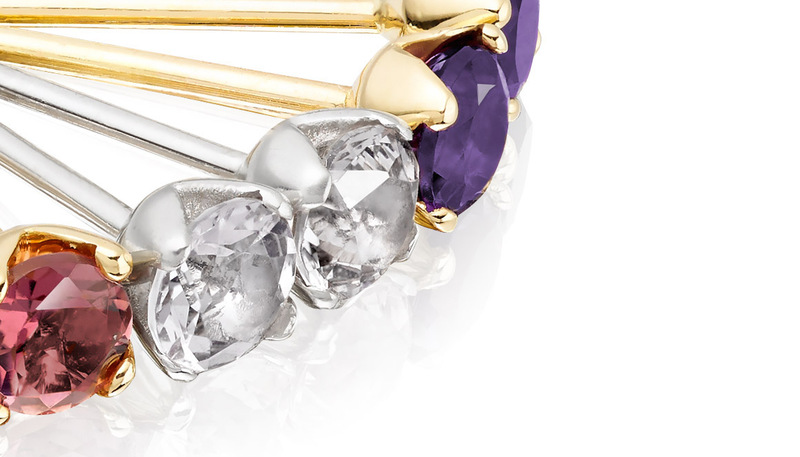 We hope you have a very special day and that the new earrings are perfect! If we can help in any other way, please do let one of the team here know and we would be delighted to be of assistance. Service rating : I've lost a pearl and needed an urgent replacement prior to work-travel. I had personal care from Mr. Andrew Fraser, who found (almost) exactly what I needed, got it to me in record time, and then replaced it with (exactly) what I was looking for once I've returned- all with the friendliest attitude. And the pearls are just beautiful! Product : lovely quality pearls, really! Reply Thank you again. We are delighted that we were able to find the right pearl size for you. Please do let us know if we can help in any other way. Service rating : A very personal service. I explained the pearl earrings were a birthday present and that I wanted to look at them before giving them to my sister. So, they said they would gift wrap them but leave one end open so that I could inspect them easily. This is what they did and I appreciated this. The freshwater pearl earrings were lovely and my sister was very pleased with them. Product : Lovely earrings. Very happy with purchase. Reply Thank you so much, we are really delighted that both you and your sister were pleased with the earrings and the service that you received shopping with us. Reply Thank you for your review, it's a pleasure to read your comments. We hope you enjoy your earrings, please do let us know if we can be of any assistance in the future. Service rating : Fantastic - quick, easy, no fuss. Product : the product looks even better in real life than online! Reply Thank you very much for your feedback. We are delighted that you are pleased with your recent shopping experience with us! 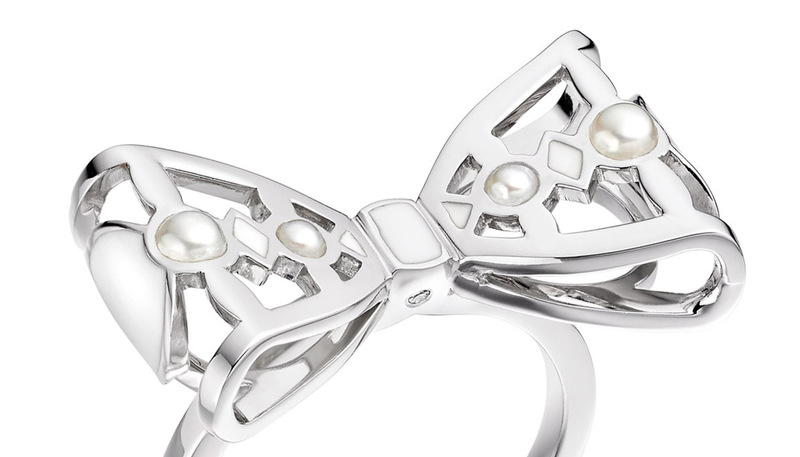 Pearls are particularly difficult to photograph well and truly represent their shine, colour and overtones. We are always able to send some non-studio imagery if that is helpful. Please do let us know if we can be of any further assistance in the future and we would be very happy to help. Very helpful and excellent customer service. This is the second time we have purchased from winterson and the quality of their customer service and products ensures it will not be the last. Product : Thanks for good packaging. Product : Purchased for a christmas present for the wife so not even open yet. Well boxed & saved me wrapping them up. Service rating : Quick and easy to order, all the info you need on an easy to use website. Earrings turned up beautifully wrapped as described. Product : Beautiful earrings, which are even better than they look on the website. Service rating : Excellent service and Andrew was very helpful on the telephone prior to finalising our order. The earrings arrived the day after we placed our order and they were nicely presented in a box. My only criticism is that the request for Feedback arrived in an email on the same day as another email from Winterson saying that their Sale had started and the earrings we had just bought had been reduced! Product : The earrings look very pretty on and appear to be of fine quality. Reply Thank you. One of our team will be in touch with you today regarding your helpful feedback.